Combined Team results - all races, both days - Meet Highlites at end of results. lead from start to finish with super Marissa Ferrante (Aptos) giving chase. Brown, looked great as she left the lower loop and headed to the back mile. big lead that continued to grow over the last 900 meters of the finish loop. Alisha finished with a time just 3 second off the top list, running 18:39! number 9 in D4 may be moving up as they knocked off a very good D1 Gilroy. over powerhouse Willow Glen and Madera South. front from the start and made the crowd take notice with their early FAST PACE! screaming as what had looked like a possible course record was now a run for survival. D'Acuisto or so we thought. Moriarty continued to gain speed, confidence and HOPE. catching Dominec as they crossed the finish line. This was an incredible race that had lots of important lessons for new runners. could learn to give every ounce of themselves like this young man gave.. then wow! 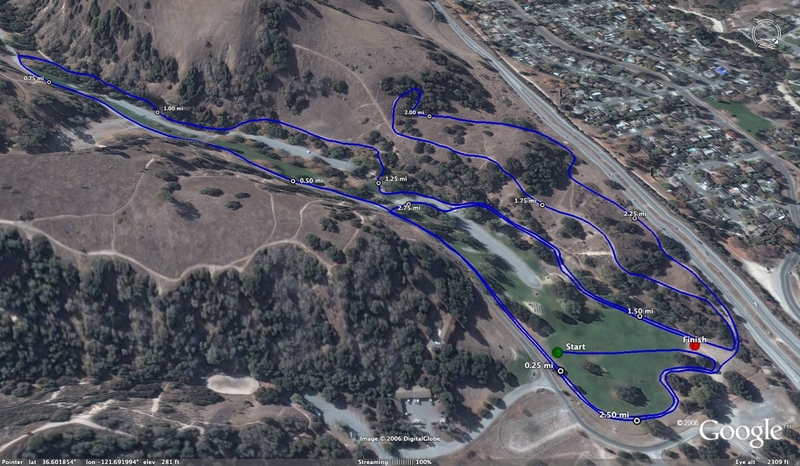 running in what was a faily low key edition of the Monterey Bay Invitational. 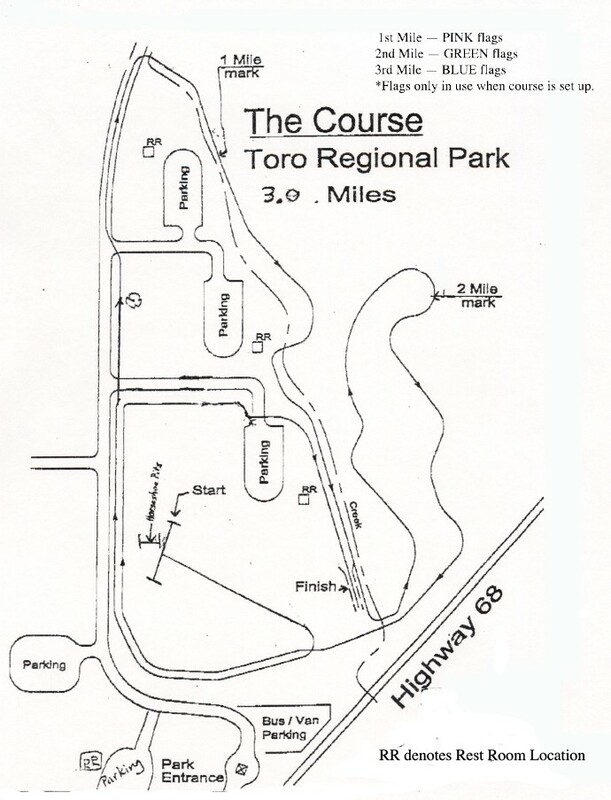 takes you into Toro Park. into Toro Park. Coming from the South (King City): Take 101 North to Abbott St.
(a left exit). Take Abbott to Blanco and turn left (Denny's is on the corner). stop sign and under the bridge and it takes you into Toro Park.